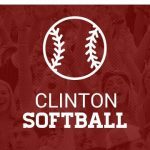 Please make note of two schedule changes for softball: JV and Varsity games scheduled for Thursday, March 28, have been moved to Tuesday, April 23. JV at 5:30; varsity at 7:30. JV’s game at Broome originally scheduled for yesterday (March 25) will be played this Thursday, March 28, at 5:30. As always, GO BIG RED! 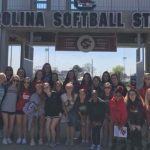 Members of the junior varsity and varsity softball teams, along with their coaches, attended the USC vs. Ole Miss softball game in Columbia on Saturday, March 23. The Lady Gamecocks beat their visitors 2-0, and the Lady Red Devils enjoyed the afternoon!